Raw Happy is available for a multitude of raw culinary creations and events including, retreats, festivals, celebrations, 1:1 tuition, pop up dinner parties, private dinner parties, gourmet deliveries and workshops. Please get in touch to discuss these or any other awesome raw adventures you may wish to embark upon. 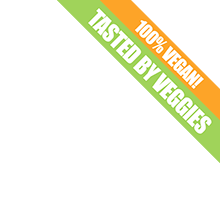 Established in 2013 Private Vegetarian Catering is now Private Vegan Catering, a food service that provides fresh, spicy, wholesome and delicious vegan dishes. Delivered on a weekly basis and very reasonably priced, main portions are generous and enough for two. They are a great way of incorporating a nutritious, meat and dairy free meal into your regular diet. All cooked with a minimum amount of coconut oil and no refined sugar. Small parties and events are catered for and we can provide a wide range of food for your occasion, please contact us to discuss your requirements. 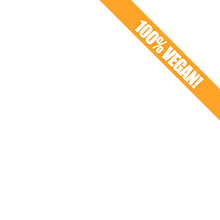 100% Vegetarian pizza restaurant delivery & takeaway, Vegan (including vegan cheese) & Gluten free choices, Burgers, Pasta, Salad and Desserts. Can provide food for private functions and parties. Bringing quality and individuality to the mobile catering scene, I serve freshly cooked onion bhajis made to my own special recipe. Served from my little catering trailer, they are delicious with my homemade spicy date and tamarind dip and cool cucumber raita. Why not try something different for your party or other event? Just get in touch and we can discuss your individual requirements. We cater for weddings, private functions and also at vegan events. We supply hot Indian snacks and curries. We run Indian vegan cookery courses. Vegan cake baker. Can make cakes for special occasions. businesses and cafes. Gluten free and soya free options are available. Cakes made to order - cupcakes, birthday, novelty, wedding cakes - incidentally vegan, always yummy! Dietary needs catered for on request! Feast is a Wolverhampton based vegetarian and vegan lunch service that delivers delicious, nutritious food that you and your body will love. Each meal is designed to create a culinary journey in your mouth using fresh, beneficial and colourful ingredients. Food we serve could include a Chickpea Burger, Teriyaki Vegetable Bowl and Rainbow Quinoa. It is our mission to provide tasty, honest food at an affordable price. Catering trailer serving vegan falafel wraps and salads is available for private and public functions. 100% Vegan baked goods that are wheat and refined sugar free. Cakes & ish can provide a dessert selection suited for your event. Birthday party, baby shower, christening, corporate meeting or socialising event. Can also provide savoury catering for some outside events, such as loaded salads with coconut bacon and sides. We are a mobile caterer and street food stall serving a 100% vegan, culinary fusion inspired by the colourful and flavoursome dishes of Mexico and South Western USA. We are a small independent company run by husband and wife team. Available for festivals, street food events, markets, private parties and weddings. Rachel believes that you can and should be able to eat cakes that not only look delicious but also melt in your mouth. All cakes are baked with quality gluten free ingredients with lots of tender loving care. Rachel’s Cakes can produce cakes, cupcakes, muffins, loaf cakes, celebration cakes, fruitcakes, brownies and cookies for all occasions, the possibilities are endless. All cakes and treats are freshly baked and iced individually and if you are celebrating a special occasion let Rachel’s Cakes add that final finishing touch to your special event. Available for collection or delivery in Wolverhampton and Nottingham. 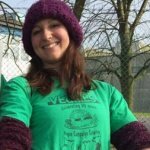 Lizzy is an experienced veggie and vegan cookery demonstrator. She teaches small groups at her purpose built kitchen. There are good road and rail links. Lizzy can offer overnight accommodation for course participants giving them time to explore the beautiful Malvern countryside. Vegan cakes and party catering available on request. Molly's is an outside catering business specialising in healthy, delicious vegetarian buffets. We offer a personal service where you can pick and choose from our menus, creating your own bespoke buffet. We also offer an ‘Eat at Home’ menu with a selection of home cooked meals, savoury tarts, light bites, sweets and more. All our food is freshly prepared in a professional kitchen using the best quality ingredients. Whatever the occasion be it a birthday celebration, wedding, board meeting, funeral, children’s party or any special event either inside or outside, we will provide you with an interesting, healthy feast. Bringing you the very best in vegan cuisine with influences from around the world. At The Ginger Cow our focus is to bring you the classics you used to love BUT with a Vegan twist! Try the likes of our ‘Chicken Satay’ – Homemade seitan with a sumptuous satay sauce or ‘Bangers & Mash’ – Carrot & Corriander sausage with a cumin spiced sweet potato mash amongst numerous others. Based in the Midlands we cater for individuals and groups where you can you find us at local street food stalls, events and private parties. Boasting a state of the art coal and wood fire BBQ we can cater for events with up to 500 people with a capacity to cook up to 600 VEGAN BURGERS per hour!